MOORESVILLE, N.C. (November 10, 2014) – Parker Hannifin Corporation, the global leader in motion and control technologies, announced today that Kyle Larson, the 2013 NASCAR Nationwide Series (NNS) Rookie of the Year, will reunite with former sponsor ParkerStore for a multi-year, multi-series partnership starting with the final NASCAR Camping World Truck Series (NCWTS) event of the season, the Ford EcoBoost 200 at Homestead-Miami Speedway (Homestead) on Friday, November 14. After originally partnering with Larson when he raced outlaw karts in California, ParkerStore will be the primary sponsor of the No. 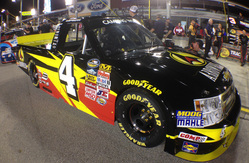 42 NCWTS Turner Scott Motorsports entry driven by Larson at Homestead and will be on board the No. 42 NNS entry in 2015. ParkerStore will serve as a primary and associate sponsor for Larson in a number of races throughout the 2015 NNS season. After earning numerous race wins and accolades in the sprint-car ranks, Larson turned his attention to NASCAR in 2012. His first year in a stock car, Larson took home the NASCAR K&N Pro Series East Championship in 2012. He also made his NCWTS debut that year, earning three top-10 finishes and leading 91 laps in just four starts. In 2013, Larson competed in the NNS full time, won his first NCWTS race and made his NASCAR Sprint Cup Series (NSCS) debut. This year, Larson races full time in the NSCS for Chip Ganassi Racing with Felix Sabates and runs part time in the NNS and NCWTS for Turner Scott Motorsports. Larson will first take to the track in the No. 42 ParkerStore Chevrolet Silverado next weekend at Homestead-Miami Speedway. The Ford Eco Boost 200 will air on FOX Sports 1 on Friday, November 14 at 8:00 p.m. EST. The race will also be broadcast on MRN Radio and SiriusXM Satellite Radio, channel 90. 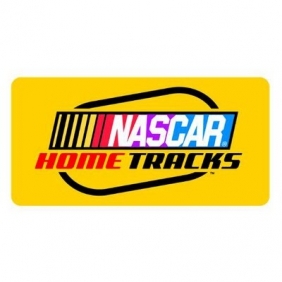 Welcome to Miami…The NASCAR Nationwide Series (NNS) will make its first and only trip of the 2014 season to south Florida and Homestead-Miami Speedway this weekend for the 2014 season finale. Dylan Kwasniewski will make his first-career start at the 1.5-mile oval on Saturday afternoon. About Rockstar Energy Drink…Rockstar Energy Drink is designed for those who lead active lifestyles – from Athletes to Rockstars. Available in over 20 flavors at convenience and grocery outlets in over 30 countries, Rockstar supports the Rockstar lifestyle across the globe through Action Sports, Motor Sports, and Live Music. For more information visit: www.RockstarEnergy.com. Find us at: www.facebook.com/Rockstar, www.twitter.com/RockstarEnergy, www.Instagram.com/RockstarEnergy, & www.YouTube.com/Rockstar.com. About AccuDoc Solutions…AccuDoc Solutions is based in Morrisville, N.C. and provides billing-statement printing and processing to hospitals and hospital-based physicians. In addition to paper-based billing statements, ADS enables patients to choose electronic statement delivery and make payments through secure online payment portals. Notable North Carolina based clients include Carolina’s Healthcare System, the UNC Healthcare System, Sentara Healthcare, Baptist Health Care Pensacola, Wake Forest University Baptist Medical Center, Memorial Healthcare System and WakeMed. To learn more visit www.AccuDocSolutions.com. Watch and Listen…The 2014 NNS finale can be seen live on Saturday, November 15 on ESPN2. Race coverage will begin at 4:00 p.m. EST with NASCAR Countdown, followed by the green flag dropping at 4:30 p.m. EST. The event can also be heard live on MRN Radio as well as SiriusXM Radio, channel 90. 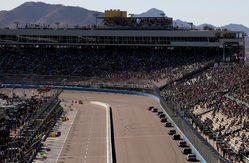 Phoenix Recap…The NNS made its second and final stop of the 2014 season last weekend at Phoenix International Raceway for the DAV.. Kwasniewski and his No. 31 Rockstar Energy Drink/ F.O.E. team looked to finish strong and leave the desert on a high note at the one-mile oval. After two up-and-down practice sessions on Friday afternoon, Kwasniewski went out on Saturday morning and laid down a time good enough to claim the 14th starting position for Saturday afternoon’s 200-lap dash. After going a lap down due to a pass-thru penalty on lap nine, Kwasniewski earned his lap back during the middle portion of the race, crossing the finish line in the 15th position. 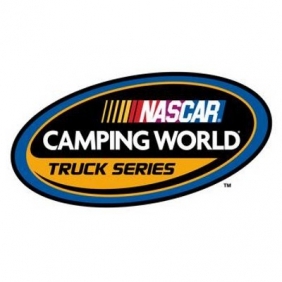 HOMESTEAD, Fla. (November 15, 2014) – In taking the checkered flag in the NASCAR Camping World Truck Series (NCWTS) finale at Homestead-Miami Speedway, Ben Kennedy captured the 2014 Sunoco Rookie of the Year title, capping off his season with a top-20 finish. Despite handling struggles which resulted in a disappointing 17th-place finish, Kennedy made history as the first descendant of NASCAR’s founding family to complete a season in one of the sport’s top-three touring series. After showing promising speeds in the weekend’s two practice sessions, Kennedy advanced to the final round of knockout qualifying, earning an 11th-place starting spot for the Ford EcoBoost 200. With tight handling on the race’s first long run, the 22-year-old was scored in the 12th position when the caution flag waved on lap 25. Crew chief Doug George called Kennedy into the pits for four tires, fuel and a track-bar adjustment, and the Heater.com Chevrolet returned to the track in 11th. When the yellow flag was displayed once again on lap 71, Kennedy had dropped to the 18th spot, struggling with a truck that was tight in the center and exit. Once again, the Turner Scott Motorsports team provided Kennedy with a four-tire stop, earning him five positions on pit road before the field went green on lap 76. 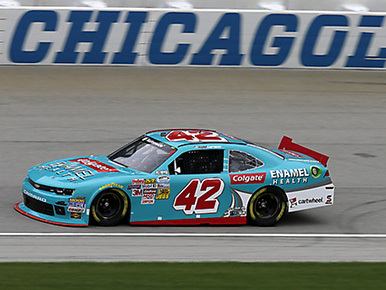 The team was able to make a final swing at adjustments under yellow on lap 100, but despite restarting in the 11th position, the Heater.com Chevrolet continued to be plagued by handling, with Kennedy ultimately crossing the finish line in the 17th position. In addition to clinching the Sunoco Rookie of the Year title, Kennedy ends the season ninth in the NCWTS Driver Point Standings with a total of one pole, one top five, seven top 10s and 58 laps led. 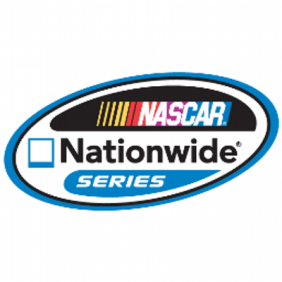 Heading to Texas…After a two-week hiatus, the NASCAR Nationwide Series (NNS) heads to Texas Motor Speedway on Saturday afternoon for the O’Reilly Auto Parts Challenge. Dylan Kwasniewski will make his second-career NNS start at the 1.5-mile track this weekend, having finished 14th in his debut at the Fort Worth, Texas track in April. About AccuDoc Solutions…AccuDoc Solutions is based in Morrisville, N.C. and provides billing-statement printing and processing to hospitals and hospital-based physicians. In addition to paper-based billing statements, ADS enables patients to choose electronic statement delivery and make payments through secure online payment portals. Notable North Carolina based clients include Carolina’s Healthcare System, the UNC Healthcare System, Sentara Healthcare, Baptist Health Care Pensacola, Wake Forest University Baptist Medical Center, Memorial Healthcare System and WakeMed. To learn more, visit www.AccuDocSolutions.com. Watch and Listen…The O’Reilly Auto Parts Challenge can be seen live on Saturday, November 1 on ESPN2. 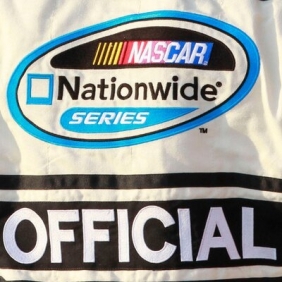 Race coverage will begin at 3:00 p.m. EDT with NASCAR Countdown, followed by the green flag dropping at 3:30 p.m. EDT. The event can also be heard live on PRN Radio as well as SiriusXM Radio, channel 90. Team Chevy…Kwasniewski will make a visit to the Team Chevy stage on Friday, October 31 at 1:30 p.m. local time. The Team Chevy Stage is located in the fan zone at Texas Motor Speedway. Charlotte Recap…The NNS made its second and final stop of the 2014 season at Charlotte Motor Speedway on Friday, October 10 for the Drive for the Cure 300. Kwasniewski and his No. 31 F.O.E. 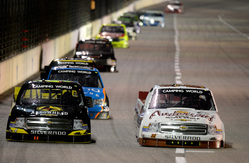 team looked to continue the momentum gained in Kansas while racing at Turner Scott Motorsports’ home track. After getting a feel for the mile-and-a-half track during the first practice session on Thursday afternoon, Kwasniewski and the No. 31 team finished second practice in the third position. Kwasniewski returned to the track on Friday afternoon and qualified 21st in NASCAR’s knockout qualifying session. After suffering damage on the first lap of the race, Kwasniewski continued to battle, crossing the finish line in the 14th position. Dylan Kwasniewski on racing at Texas: “I’m really looking forward to making another start at Texas this weekend. It was nice to have a little bit of a break, but I’m ready to get back behind the wheel and finish our 2014 season on a good note. We had a pretty solid piece back in April at this track, so I think if we can continue to build on that and stay consistent, we can come home with a solid finish. 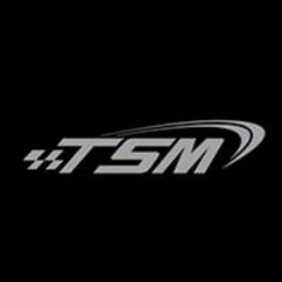 FORTH WORTH (November 1, 2014) – After claiming his career-best finish in his last NASCAR Camping World Truck Series (NCWTS) race with Turner Scott Motorsports (TSM), Tayler Malsam made his return to Texas Motor Speedway with his sights set on a victory. An unfortunate qualifying run, however, followed by two incidents during the race resulted in a 21st-place finish in his fifth-career start in the Lone Star State. 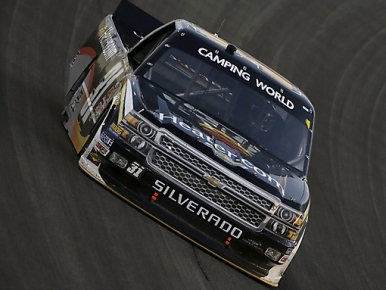 Equipped with a solid Outerwall Chevrolet Silverado following the weekend’s two practice sessions, Malsam was forced to settle with a 19th-place starting spot when time ran out during the second round of knockout qualifying. As the green flag waved on a chilly Texas night, Malsam gained one position before the first caution flag waved on lap 22. Telling crew chief Mike Hillman Jr. that he was super tight, Malsam came to pit road for four tires and fuel before rejoining the field in the 18th position. Still dealing with a tight machine nearly 50 laps later, Hillman brought Malsam down pit road under green-flag conditions for four new tires and fuel. Going a lap down following the stop due to a flat tire, the second caution arose on lap 77 and Malsam was the beneficiary of the free pass. Hillman called the No. 32 truck back to pit road for a quick splash of fuel before rejoining the field. The yellow flag waved once again on lap 97 and Malsam told Hillman he was now too free. After receiving four new tires and fuel, along with a small adjustment, Malsam restarted in the 11th position. Shortly after, Malsam got caught in a large patch of oil when another competitor blew an engine in front of him, causing his Outerwall Chevy to spin across the slick track. With very slight damage to the right rear, Hillman called Malsam to pit road for four tires, fuel and a small repair. Good to go and ready to fight his way back, Malsam restarted in the 17th position. With nine laps to go, however, a competitor in front of Malsam drastically slowed down, forcing the No. 32 truck to make a quick move down and into another competitor. Malsam drove his machine back to pit road for four tires and repairs, returning to the field in the 20th position with a damaged right side and 20-lap tires. Despite a solid effort by the Malsam and the No. 32 Outerwall team, the series of unfortunate events left them with a 21st-place finish when the checkered flag waved.